Bob and Fara aren’t your average forty-somethin’ couple. While most are busy with the day-to-day lives of raising kids and keeping their career afloat, for them that’s not the case. Ok, it wasn’t quite as simple as that, but you get the picture. Then, they made the mistake of starting their travels in Scandinavia where they immediately blew through their budget. After that, Bob and Fara quickly made their way to greener (aka cheaper) pastures in Eastern Europe and started searching for ways to save money so they could travel longer. That’s when they discovered house sitting. Bob and Fara have learned a lot as they navigate the wonderful world of house sitting jobs and snag free accommodation across the continent. Now, they’re here to share their expertise with you in the complete beginner’s guide to house sitting! 1. How do you find house sitting opportunities? There are two different ways to find house sitting jobs while traveling. There are numerous other websites out there, but these are the two which we have had the most success with. In our experience, a homeowner will post an opportunity to the site with the important info (dates, approximate location, expected duties, photos of the property and pets, etc.). Then a house sitter can apply for the ones that interest them. Many house sitting platforms are also set-up for a house sitter to post their availability (dates, locations, pet/maintenance experience, etc) and have a homeowner contact them when they have a need. However, we’ve never received any leads in this way. As we meet people on our travels, it often comes up that we are house sitting as a way of financing our trip. Sometimes these chance encounters turn into leads. For example, Fara had met a nice Croatian woman through a knitting Facebook group and, before ever meeting her in person, she had connected us with one of her friends who needed a last-minute pet-sitter at the same time we were in Zagreb. Homeowners from previous house sits will also contact us when they or someone they know have upcoming trips planned before posting the opportunity to one of the house sitting websites. We hope these word of mouth and repeat customer leads become a more significant percentage of our house sits in the future. 2. How much do you get paid? Since we are traveling on tourist visas, we don’t have the right to work in any of the countries we visit and can’t legally charge for our services. With that being said, there are still plenty of extra perks. All of the homeowners we’ve house sat for offer us free lodging for the duration of the sit and often extend it to a few days before and after they are gone. Often we are left with at least basic staples with instructions to make use of anything that will spoil while the homeowner is away, including anything in the refrigerator, pantry, cellar or freezer. We’ve been traveling primarily with a rental car, but some homeowners will let us use their vehicle while they are away as well. We use a bit of fuzzy accounting when figuring out how much we make house sitting. If you look at it as money not spent on lodging, food and transportation it can easily amount to $50–100/day that stays in our travel fund during the duration of the house sit. There are several intangible benefits we receive by house sitting. We get to “live like a local” for a little while, sometimes in a part of the world we would otherwise never consider traveling to. The homeowners we have met have all been wonderful people, who love travel, and warmly welcome us into their homes despite being practically complete strangers. We’ve taken part in local festivals that foreigners rarely attend, and finally, we get to be around animals without having to figure out how to travel with our own. 3. What responsibilities can you expect during a house sit? Before every house sit we meet the homeowners in person and prefer to spend a day or two with them running through their daily routines with the pets and other responsibilities. Most homeowners have a detailed manual with all the important information for the house sitter, but it is not a replacement for hands-on interaction. I guess a very trusting homeowner may do everything electronically, but it would be counter to our desire to meet and interact with the locals. Most of the house sitting opportunities posted (and the ones we’ve experienced) include caring for the homeowner’s pets. The most exotic pet we’ve cared for so far has been chickens, and we had to collect and eat the eggs. Most of the homes we’ve cared for are at least partially heated using a wood burner, so in the winter there could be some chopping and bringing in the firewood and tending to the fire. In the spring and summer there could be some light gardening and yard maintenance or tending to a swimming pool. At the very least a house sitter should be expected to keep the house at least as tidy as the homeowner left it to them. We’ve seen house sits posted that included duties such as tending farm animals, keeping an eye on contractors making improvements to the home, or even helping to run a hotel or bed & breakfast… We’ve declined to apply for such “opportunities”, but they may appeal to others. 4. How much flexibility does house sitting require? Flexibility can be defined many ways when it comes to house sitting. You are dealing with two private parties (homeowner and house sitter) who are operating under a mutually beneficial agreement, so anything is possible. It has been our experience that dates need to be a little flexible which is why we prefer to build in a few days on either side of the homeowner’s expected departure and arrival just in case of some last minute change in travel plans. We’ve never had a homeowner cancel on us, but it can happen. We know of some house sitters who draw up a basic contract in case of cancellation to recoup some costs associated with such an event. During the house sit, Murphy’s law dictates that something will happen you are not fully prepared for. This is just a fact of life and successful house sitters are flexible enough to handle these cases in stride. Pets may gets sick, but the homeowner should leave you with contacts for veterinary care. Something in the house may break or stop working, but our own homeownership experience has taught us to fix what we can and call an expert for what we can’t. This flexibility is part of the job description of a house sitter. 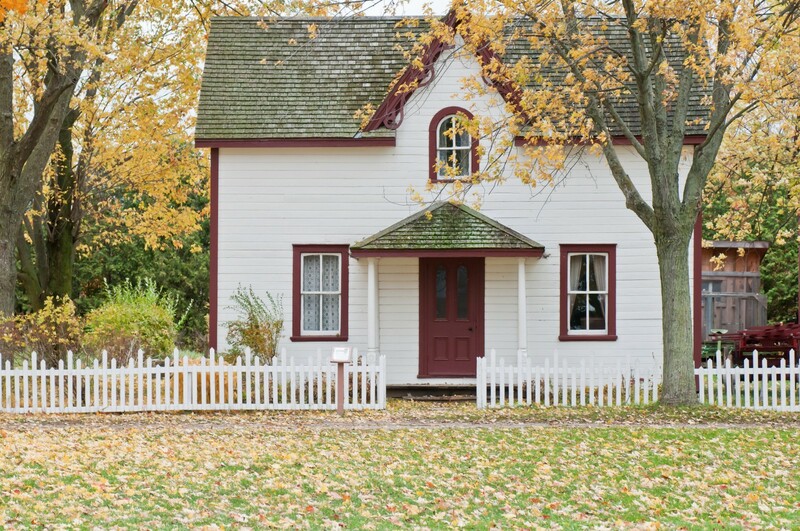 When talking about locations, flexibility will open up many more opportunities for the house sitter. A significant number of house sits tend to be located in rural areas or small villages with limited access to public transportation, restaurants, and shopping. Even when an opportunity is found in a major city, it will likely be located in the more residential areas, away from the central tourist districts. In the off-season, house sits can be more easily found in what would be considered a vacation destination. It is also worth noting that the more popular a destination or season is, the more competition there will be with other house sitters. 5. How many house sits have you done and how many are set up for the future? We’ve completed five house sits since last December which is when we got serious about using house sitting as a form of lodging. The shortest duration has been a three or four day weekend and the longest was two weeks not counting the time we stayed before and after the homeowner was gone. These have taken us to rural Ireland, London, the Pyrenees in France, Zagreb, and Lake Balaton in Hungary. We have confirmed sits upcoming in Transylvania, back in Croatia, and Luxembourg and at least a couple others we are in the process of negotiating the final details. Every few days Fara is finding new opportunities to apply for that will fill in the gaps between the upcoming sits. 6. Can you give me an estimate on how much time and money you invested to land each one? Money: We currently have memberships on five different house sitting websites which cost approximately $30–120/membership/year. Time: I tend to just read emails that have been sent to us by the house sitting platforms. For example Trusted House sitters sends me two emails a day (morning and evening) based on the sits they have received in that timeframe before made public on their website. The email is organized by country and alphabetical so I can quickly scan to see if there are any sits in countries that we are near or plan in the future to be in or close to. On a weekly average I might spend 30 minutes looking at these house sitting emails. If I see something listed in one of the emails that looks like it might fit our needs I will send it to Bob for his opinion and if he thinks its a good fit then he will let me know and I apply for the sit. Bob keeps track of our Visa dates for permitted time within a country. So often he will have to run a calculation to determine if we have the available time to do that sit based on the Visa situation at that time. There have been three sits that we had to turn down based on inadequate Schengen Visa time although we would have loved to perform the sit. 7. What does a typical process look like from the first application to getting the job? After submitting an application the ball is almost entirely in the homeowner’s court, so there is a lot of waiting on our part. If we don’t hear back within a few days and it is a house sit we are particularly interested in, Fara will follow up with the homeowner to show interest and prompt a response. At this point the application will go one of two ways. The homeowner will give us a “no” response (and a continued lack of response we also take as a “no”) or they respond to schedule an interview. The interview is typically over video chat, in some cases it will be entirely via email, messenger or text, and in one unique case we were in the same general area as the homeowner and scheduled an in-person interview at their home. This interview is as much for us to interview the homeowner as it is for the homeowner to interview us and in our experience has always ended with both parties agreeing to continue with the house sit. 8. How do you make sure your house sitting requests stand out from the rest? Fara tries to tailor each application to the homeowner rather than just sending a canned, boilerplate request. Adding personal touches such as relating past experiences with animals to the homeowner’s pets or showing knowledge and interest in the location they live in makes a difference. We try to emphasize that our story is unique in that we’re neither twenty-somethings straight out of university nor retirees enjoying their twilight years traveling. Above all else, we try to portray ourselves with as professionals with many years of experience from owning and caring for our own homes and pets. 9.What surprised you the most about house sitting? Is there anything you wish you knew before you started? The most surprising thing for both of us is how much we needed to treat house sitting as a business with us as a service provider and the homeowners as clients. We went into it a bit naively thinking that we’d make our travel plans and pick up house sits along the way. This resulted in only rarely finding opportunities we were even available to apply for. It wasn’t until we changed this mindset and made our itinerary flexible enough to accommodate going where the house sitting opportunities were, that we were successful finding and landing house sits. If we had known what we know now, we would have also built up our house sitting resume before embarking on our long-term nomadic trip. Without a history of successful house sits, it took the right homeowner to be willing to select an apparently inexperienced house sitter. 10. What has been your favorite house sitting experience so far? Would you recommend it to others that are interested? It may sound a bit like a cop out, but it would be impossible to pick one favorite experience as they are all memorable for different reasons. The Ireland house-sit was exhilarating because it was our first sit and everything was brand new. Despite us not really having a clue what we were doing, the homeowner is willing to let us watch her pets again later on this year. In France we took part in their Carnivale celebration where we were the first Americans anyone could remember being in attendance. The pets we took care of in Hungary now occupy a special place in our hearts. We went back a few weeks later to pick up something we left behind and they were all ready for us to stay and take care of them again. We love this “job” and would wholeheartedly recommend it to anyone wanting to experience real life in a foreign place. Read more about Bob and Fara’s travels on their blog at Can Do Latitude and simplify your travel plans with their Shengen Visa calculator! Originally published at slightnorth.com on May 16, 2018.